IT'S TIME YOU DID SOMETHING ABOUT HOSE MONSTERS UNDER YOUR BED. You're not a helpless kid any more. 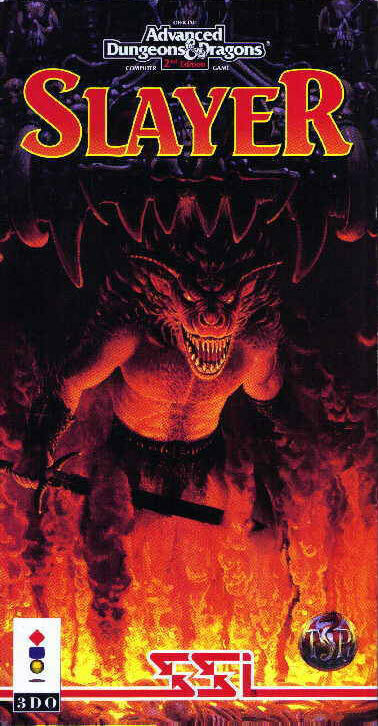 You've grown up and you've got Slayer, the first Advanced Dungeons & Dragons game available for the 3DO Interactive Multiplayer system. 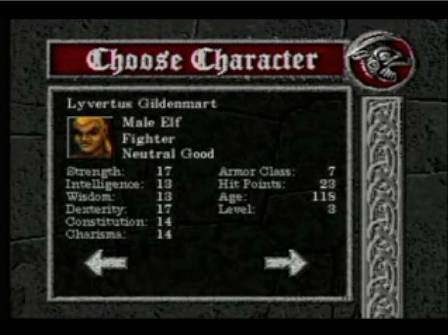 Now you're an AD&D game hero armed with weapons and magic, exploring dungeons filled with the deadly monsters of your nightmares. Hack and slash away at these vile creatures, avoid treacherous traps, and solve mind-bending puzzles. The randomized dungeon generator can create over 4 billion different dungeons - that's a new monster hunt every time you play! 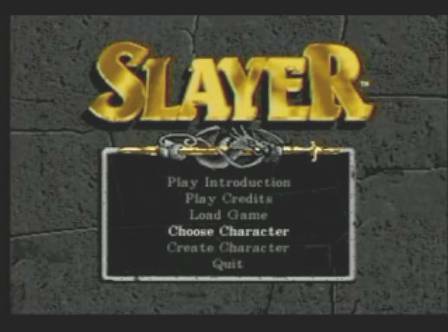 Because it's designed for play on the 3DO system, Slayer gives you the most awesome graphics and animation you've ever seen. Plus a first-person perspective that lets you look up, down, and all around. It's virtually real! Slayer. It's time you made those monsters look under their beds! 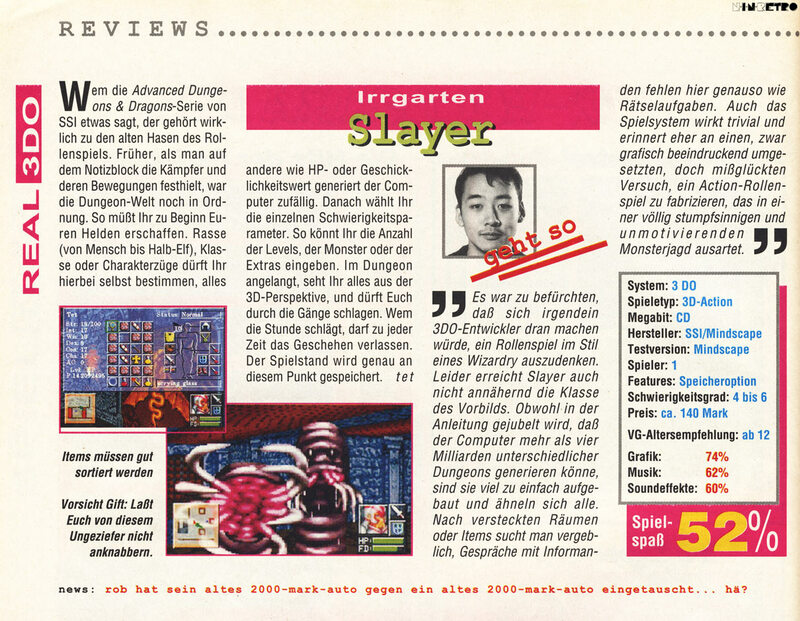 Seite geladen in 0.0205 Sek.